Serial No. 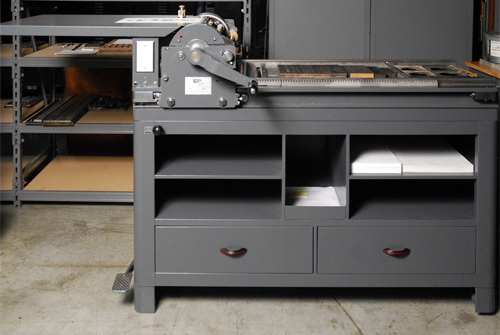 12548, Sheet size: 15" x 20"
The Vandercook proving press is easily the most popular and sought after proof press in the world. 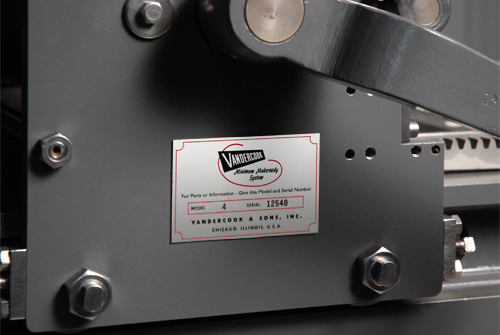 Robert Vandercook started manufacturing proof press in Chicago back in 1909. Dozens of models and variants were sold including one of the most popular models: the No. 4. 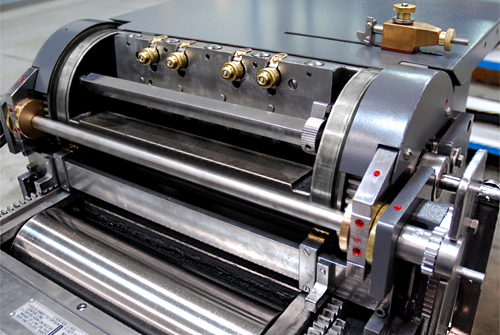 This floor model incorporated inking rollers, underside ink oscillator (motor-driven), register stops in the cylinder and auto-impression on/off control. The No. 4 was built between 1935 and 1960. 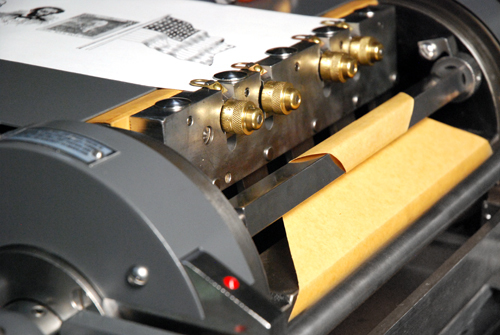 Today, hundreds of Vandercooks are still being used in art studios and boutique printers for every sort of letterpress need. They are well-built and easy to operate. We also have a Vandercook No. 1 in our inventory and that, too, will be rejuvenated later. 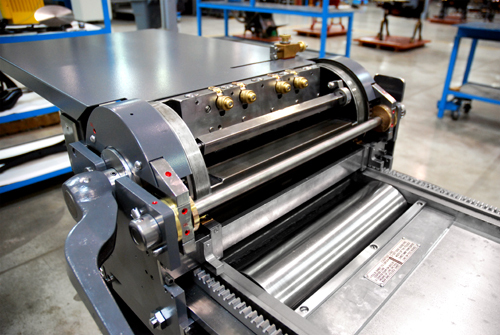 Unfortunately, our proof press had been neglected and this meant many parts had to be fabricated in our machine shop. The extensive re-engineering on our No. 4 is finally completed and we are successful to restore the press to look as good as when it left the Vandercook plant in 1948!